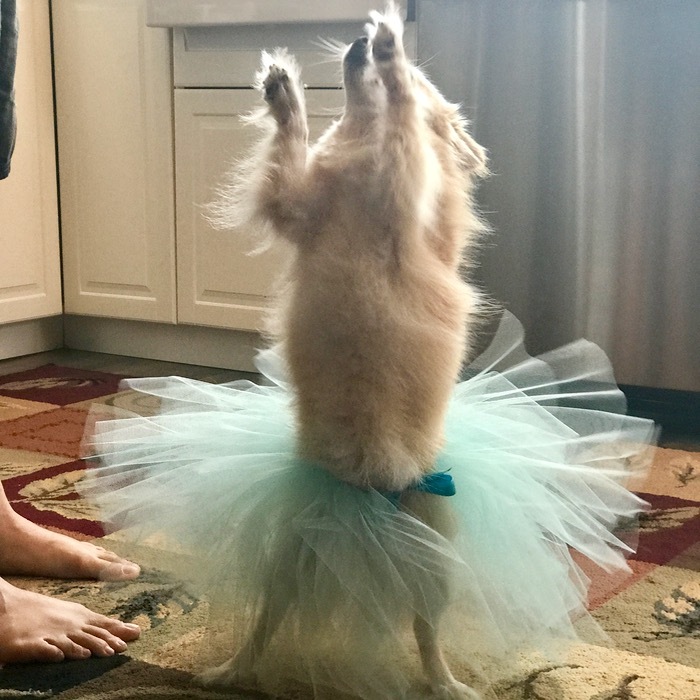 When Janece showed me how Chibi dances for a treat, I had a vision: A tutu for Chibi! 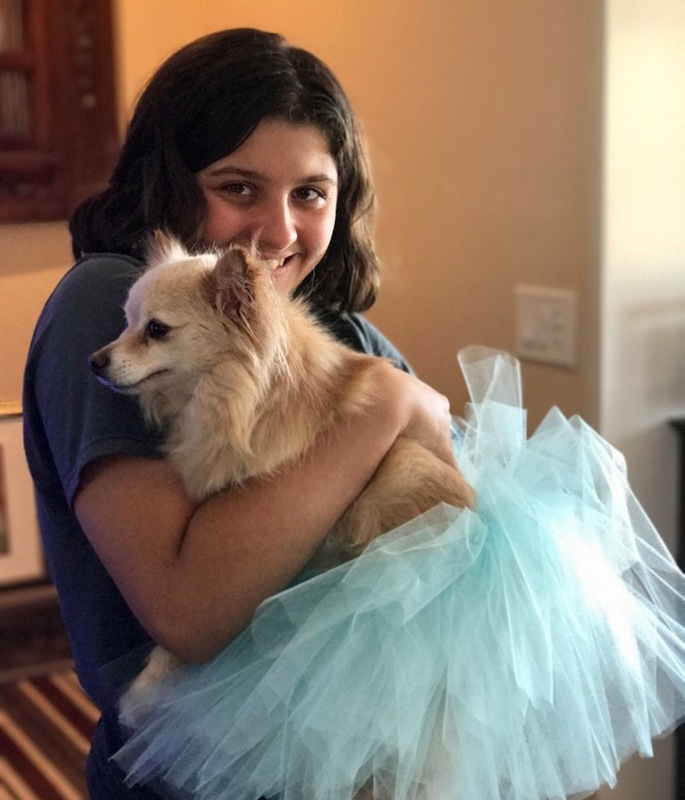 Maria and I worked together to make this little blue tulle confection. Our two hopes were to get her picture in her ballerina ensemble, and that the whole scene wouldn't distress her. It was a success that far exceeded our hopes and imagination. 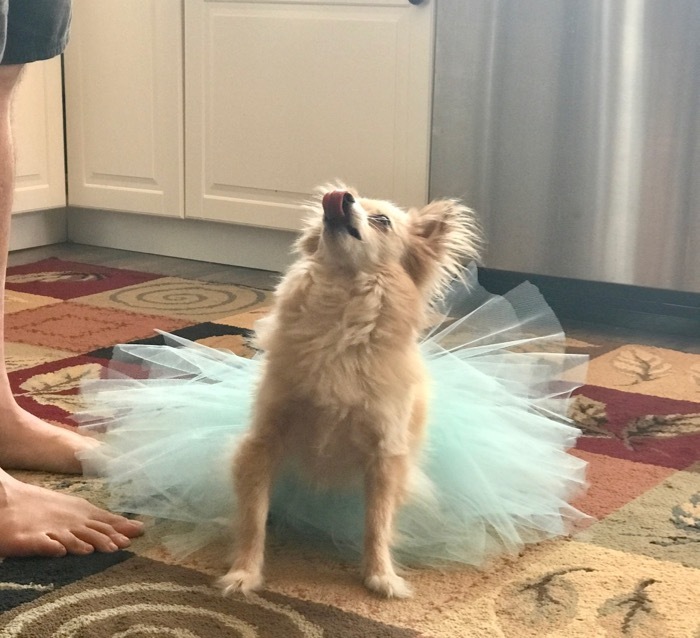 Maybe her treats are so fabulous, a little tutu isn't going to interfere. Or perhaps it's that a tutu is what she's been destined for, all along. She wore it with ease, with grace, and natural refinement. Maria and I made our delivery and were honored with Chibi's dance, Amira's smile. 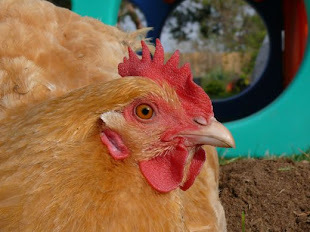 What a happy, gratifying start to our day. Later, Amira posted pictures of Chibi, all danced out, but still in her tutu, elegantly reposed, daintily napping. 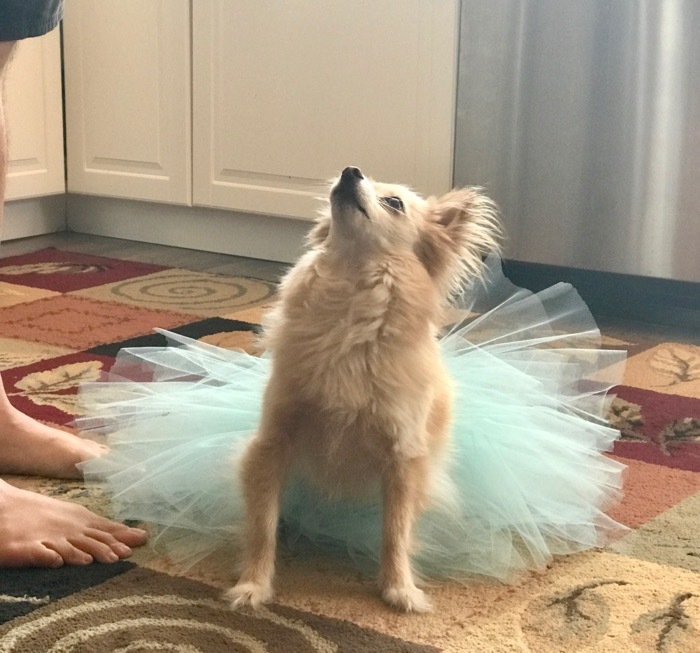 Bird House Couture, where tutus are haute!